Spring Lake, MI (November 8, 2017) – Volatile world events have done little to deter consumers from carrying through with their travel plans, according to results of the just-released 2017 Ensemble Insights Survey. What’s more, the role of the travel professional and interest in lesser-known destinations and travel insurance have taken on an even greater importance by consumers in their travel planning activities. The survey was conducted in September and based on input from nearly 2,000 Ensemble Travel Group members in the U.S. and Canada, including Cruise & Travel Experts of Spring Lake. Results were released last month in Dallas at Ensemble’s annual conference attended by more than 850 members and industry partners. 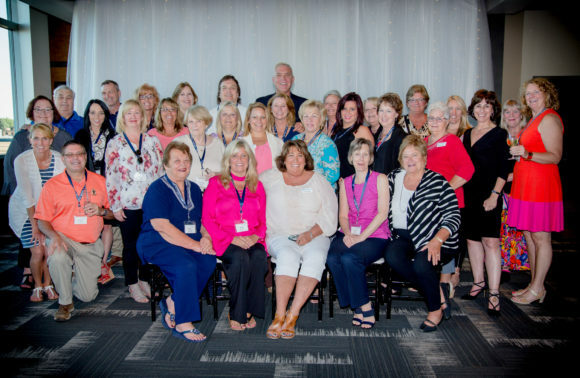 A handful of our operations team and member affiliates from Cruise & Travel Experts attended the four-day convention. Of the survey respondents, 43 percent said world events such as terrorism, protests, and election results have had “little to no change” in their travel bookings for 2017 and 2018. Thirty-four percent of the respondents indicated their clients were placing a greater reliance on booking with a travel professional; 32 percent noted an increased interest in lesser-known destinations for their vacations; and 31 percent reported an increase in travel insurance bookings. Members could choose multiple answers for the question. In addition, the appeal of experiential travel continues to resonate with consumers. When asked what is more important to the majority of clients – price or experience – the latter was the clear preference as 70 percent of respondents selected experience, compared to a distant 30 percent opting for price. Survey results also indicate 2018 to be a banner year ahead across all travel segments, with 66 percent of respondents expecting total travel bookings to increase compared to an already strong 2017 where 64 percent of those questioned expect bookings to be up this year. According to Baumann, Cruise & Travel Experts continues to grow as more and more travelers realize the importance of having a good travel agent to help with not only their trip planning, but to serve as an advocate for them if they encounter a problem during their vacation. People are realizing they will be better off going to an expert to receive the best value for their investment and peace of mind. About Cruise & Travel Experts Cruise & Travel Experts, Inc. puts the personal touch back into travel planning. Headquartered in Spring Lake, Michigan, we offer customized vacation travel services and business travel services for savvy travelers. Our experts get to know you and your inspirations to match you with the most ideal land vacation, cruise, or vacation package. We’re passionate about what we do and we aim to delight our customers one travel experience at a time. Founded in 1968, Ensemble Travel® Group is a thriving member-owned organization of approximately 850 top-tier independent travel agencies in the U.S. and Canada, with an expanded international presence in Australia/New Zealand. With a membership that represents billions of dollars in travel sales each year, Ensemble Travel Group has achieved a near 50-year record of boosting members’ profits and delivering high-volume sales to its preferred suppliers.